HIGHLANDERS have saluted supporters that travelled to Baobab Stadium on Saturday to cheer on the boys in a Castle Lager Premiership match, which they lost 0-1 to Ngezi Platinum Stars. Terrence Dzukamanja struck the all-important goal in the 82nd minute to break the travelling Bosso fans' hearts, as the game was seemingly headed for a share of the spoils. 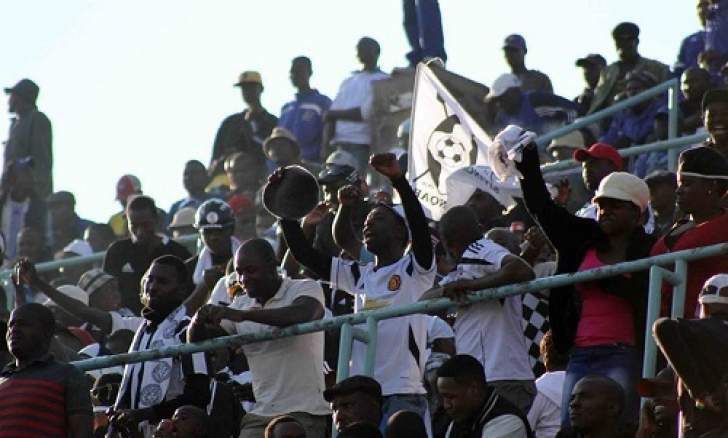 More than 1 500 fans travelled to Mhondoro for the encounter and created a carnival atmosphere inside Baobab Stadium, making it look like a Bosso home game. From Bulawayo about 15 Sprinters and four Quantam vehicles plus other private cars left around 9AM with fans clad in the black and white Bosso regalia. "It's a big thank you to our fans for the support rendered to the team. They showed that they are not only about winning, but about supporting the club and brand Highlanders. "Even when we fell to that sucker punch, they were still calm and kept on cheering the boys. Football was indeed the winner on Saturday and now focus is on our next game against Mutare City at home," said Highlanders chief executive officer Nhlanhla Dube. Despite the defeat, which came as a result of a rare error by promising young central defender Carlton Siamalonga, who seemed to suffer from indecision, the fans were in concurrence that the project being built by coach Madinda Ndlovu was on a positive trajectory. "As supporters we remain fully behind the boys and while the defeat is never something that can be celebrated, the performance was top notch and with a bit of luck, we could have hit those guys for three, but it never happened; that's football," said Derrick Gijima, who drove from Harare for the game. Despite coach Ndlovu having expressed his disappointment on how goalkeeper Ariel Sibanda conceded the goal, Gijima said as the Harare supporters' chapter, they felt the goalkeeper was the man-of-the-match. "We actually gave Sibanda a hamper after the game because we felt he was outstanding," said Gijima. Another fan Leo Tshuma, who drove from Lupane, also expressed satisfaction with the ECD project, saying the youngsters would graduate soon. "I must admit that I was a bit sceptical about this whole project, but to be honest one can see where it is heading. "We lost, but I can safely say this is one defeat that left me satisfied as the performance by the boys was excellent and to those who were not at Baobab, don't despair, iteam ikhona," said Tshuma. Tshuma reminded fans of the hashtag #fillupBF as Highlanders take on Mutare City at Barbourfields Stadium tomorrow.